If you're one of the lucky ones who has a special someone to spend Valentine's day with, then we can understand why you might put in some extra effort. Carefully picked gifts, a candle lit dinner, Barry White crooning over your iPhone speaker. And that's completely alright! Everyone loves to be pampered once in a while. But what if you're short on time, out of ideas, or looking to do something really unique? No worries my friend, we've got your back. 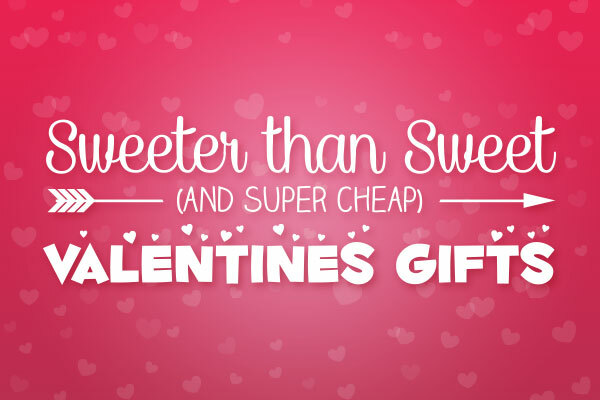 The StickerYou crew was quick on their feet to come up with these easy, romantic and totally practical Valentine's day gift ideas. Baby Light My Fire. Boxes of matchsticks are easy to find and you can buy them in bulk packs fairly easy. 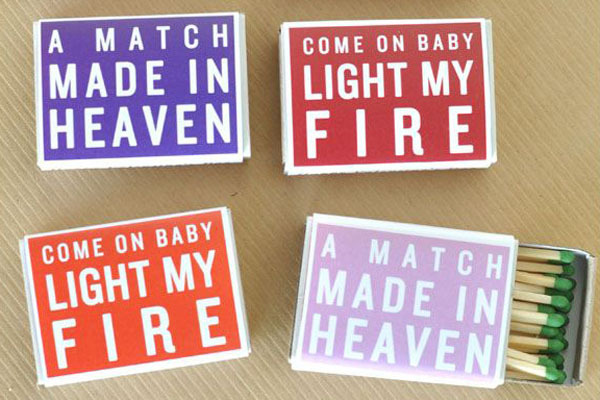 Re-decorate those match packs with some quirky quote about love and fire and burning sensations (or maybe skip that last one). Next, the candles. Pick up some delightful smelling red candles and personalize with stickers that have your sweetie's favorite quote or a memory you share. Order a page of custom stickers designed exactly how you like them. Stick them on the boxes and candles and wrap. Love You More Than Cake. And who doesn't have a serious love affair with cake? 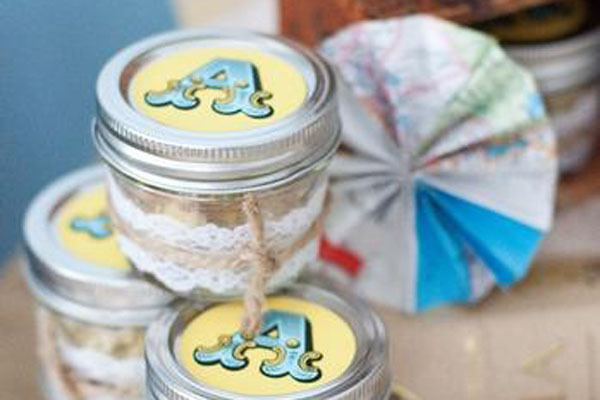 This gift is fast, easy and really sweet. First, get a cupcake, next, stuff it in a jar. Top off with a dollop of icing and screw the lid on tight. Add a plastic spoon with some ribbon and a pretty customized vinyl sticker on the front and you're done. Take your Valentine on a picnic or romantic walk and then break out dessert. Apple of My Eye. 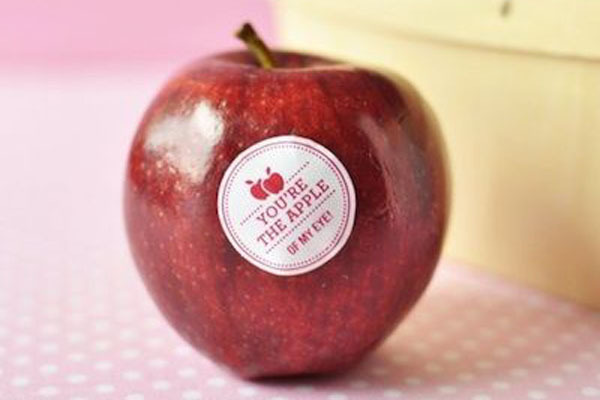 Cleverly worded stickers on fruit are the healthiest (and cheapest) Valentine's day gift going. Perfect for those who don't like overly sugary candy and are cautious about endangering the environment with the onslaught of paper cards around the holidays. Simply buy a couple of apples or bananas or pears. Slap some shape stickers on the front with your fruit-related pun. Go pick up some chocolate dip for dipping your fruit slices and then curl up on the couch together to enjoy your treat. Stuck on You. People aren't invincible. 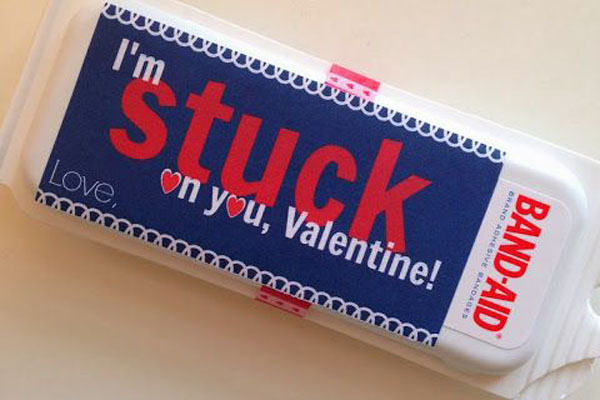 So obviously band-aids make the perfect V-day gift. Especially for those mishap prone acquaintances of yours. Buy a couple packs of band-aids and make your own product label. You can even splurge and go with the pre-printed themed band-aids with their favorite characters. Sentimental and useful. Be My ValenWine. (Or Beer My Valentine, depending on your beloved's beverage of choice). 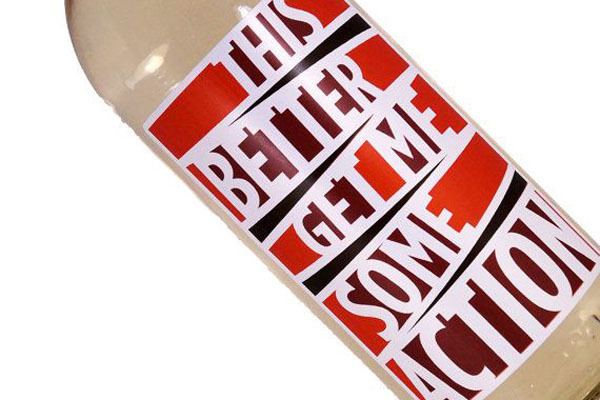 Custom bottle labels are a romantic twist on a classic gift. Create a label that has a photo of the two of you or some cheeky quote. You'll have drinks to celebrate with and a personal gift they'll love. Chocolove. 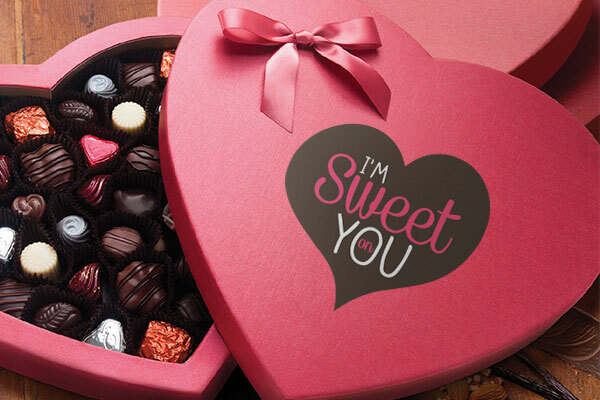 A box of chocolate is a corner stone of Valentine's Day traditions. Take your traditional box to the next level and brand it with your own personalized labels. It's a small change that can make a big difference and will certainly impress. Bonus points if you actually made the chocolate your self. Really want to knock it out the park this Valentine's Day? Do all of the above.